BROOKLYN -- Authorities say a man has been shot and wounded by police after exchanging gunfire with officers in Brooklyn as they tried to arrest his friend for a low-level warrant. 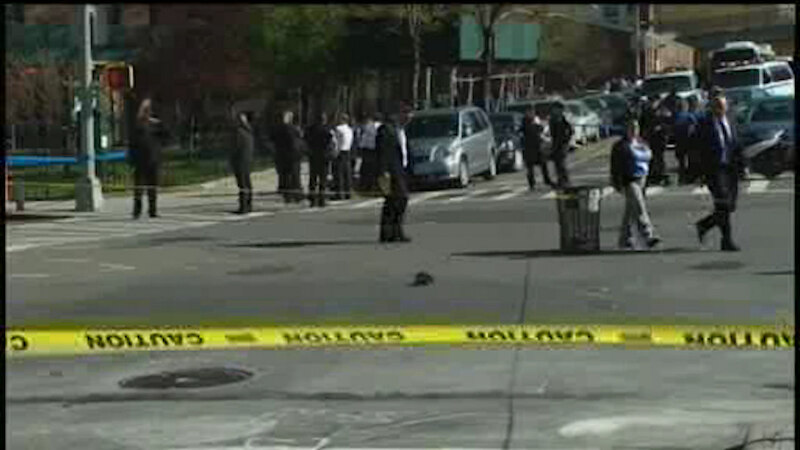 It happened around 3:45 p.m. Tuesday at a public housing complex in Brooklyn. Assistant Chief Jeffrey Maddrey says officers tried to stop the wanted man when another man he was with pulled out a gun and fired at the officers. The man with the gun was shot in the hand and ran off. The officers were not injured. Maddrey says the shot man ran through a public housing complex and into an apartment building. He was arrested a short time later. They say the wanted suspect was also taken into custody.